Our Students at Aveda Institute Portland have got some serious talent. Of all their time in school, there is no better time to put their talent to the test then our annual Evening 4 Earth Event. The event is a student run fashion show, open to the public, all ticket sales for the evening are donated to Hopkins Demonstration Forest. Students sign up to participate in various way to make the show happen, perhaps the most grueling is the hair and makeup team. In our 10th Year of raising money for Earth Month, The Aveda Institute Portland and Dosha Salon Spa, blew our goal out of the water by raising a grand total of $29,000 for Hopkins Demonstration Forest! We could not be more thrilled or proud of the efforts of our students and staff! With our biggest success to date, we wanted to take a moment and highlight some of the standout moments of the year! We had the pleasure of catching up with Salon Life student Alyssa and getting to know her a little bit more. Alyssa is not only a talented stylist but is also incredibly humbled and easy going. Alyssa likes to start the day by sipping on a cup of coffee in her jammies breathing in the beauty of life. A perfect day for Alyssa would include roaming around town with friends having a great laugh, ending with a musical jam sesh! Here is a little peek into what I got to learn about this fun loving gal. Many of us have floated in and out of student services, seeking advice, solace and even a few minutes of escape. Kristin who works behind that little glass window is no stranger to the many emotions that can come and go and she is here to help with the little stressors that can sometimes feel overwhelming! That made her the PERFECT person to ask about one of Aveda's classic products, Hand Relief, because much like hand relief, Kristin is no stranger to reliving tension caused by everyday tasks and worries! 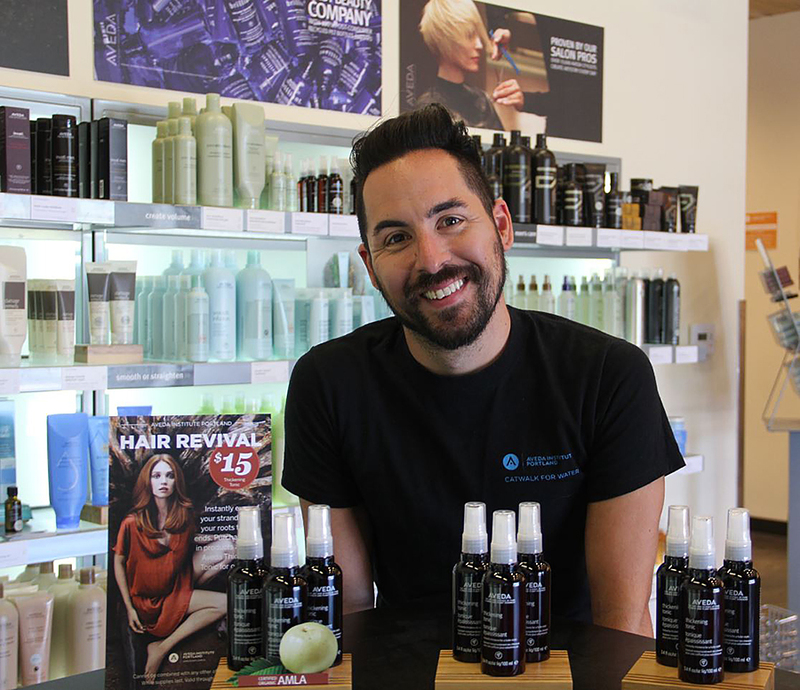 We sat down with Vancouver Instructor Beau to find out about a new Aveda fave,Thickening Tonic. A relative newbie to the Aveda styling line this product has garnered some serious love from stylists and connoisseurs of volume alike. Since Beau knows a thing or two about achieving the perfect coif, we knew he would be the man for the job! Here at the Aveda Institute Portland we wear all black. You might imagine a somber environment but it is quite the opposite. Our students manage to use their everyday black as a unique canvas for their self expression. 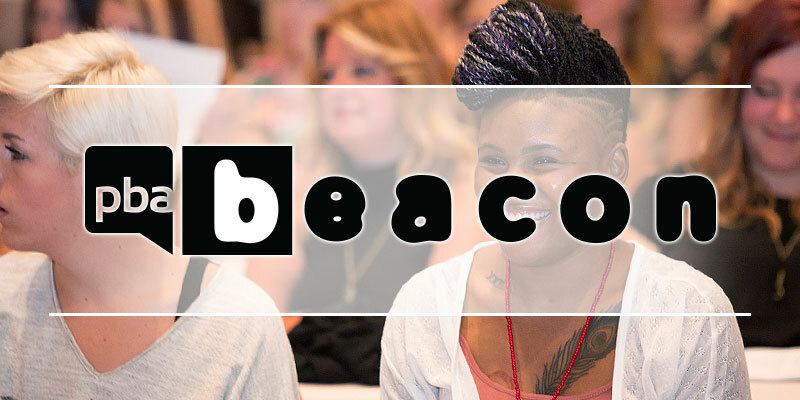 In order to capture the creativity we have been stopping students who show up dressed to kill to find out how they make Aveda dress code their own! First up is salon life student Rachel, who caught our eye with her soft and casual outfit! But if we are being honest the outfit is ALL about that headband! Summer is upon us and that means one thing- our skin is more thirsty then ever! Harsh summer sun can take a toll on our soft skin. But alas, you can have silky soft skin all summer long, thanks to an Aveda favorite, Beautifying Body Moisturizer! And now when you buy any one product ($25 or more) you can purchase this beloved moisturizer for only $15!!! We sat down with Esthiology and Nail instructor Beatrice Van to find out what makes this stuff so great!